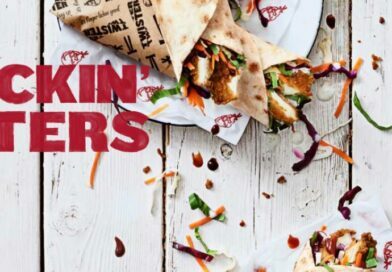 Christmas Burgers UK 2018 - 10 Festive Burgers you need this Xmas! 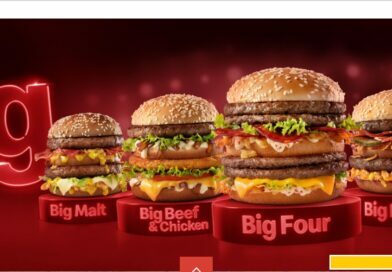 It has turned into a bit of a tradition in the UK – burger joints offering a special during the festive period. In this post, we round-up the very best burgers you should be indulging in this Christmas. As you can see from the ingredients list, Solita have once again demonstrated they are (arguably) the Kings of the Christmas burger. 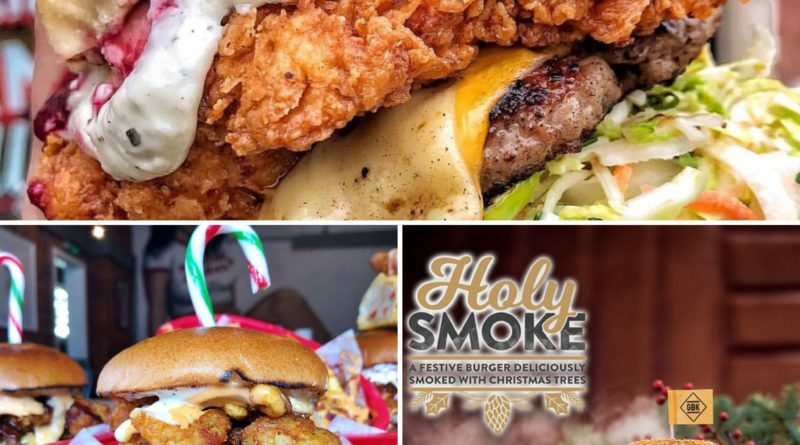 Every year, people make a pilgrimage to sample one of the definite highlights of the burger calendar – they’ve already created a massive online buzz regarding this year’s release. Click the links to see our past Solita Christmas Burger reviews for 2014, 2015 and 2016. 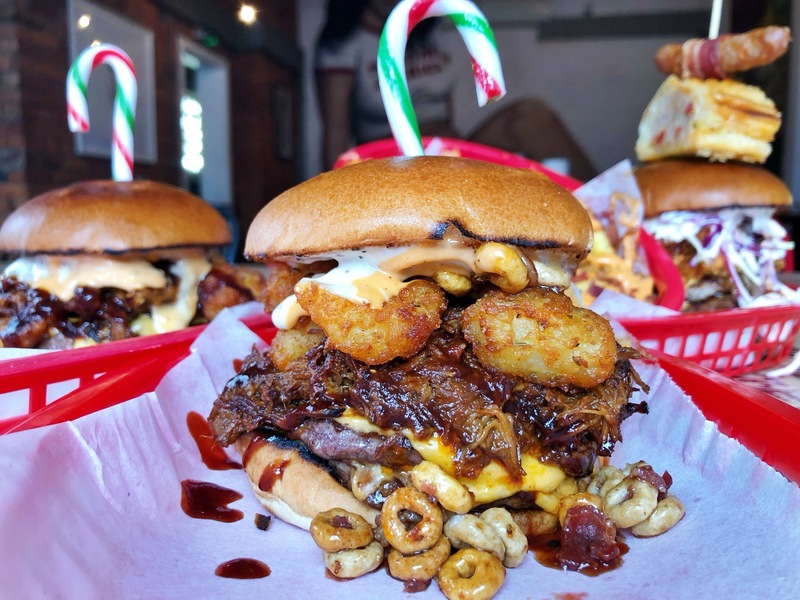 There is no official description we can find, but you can bet the innovators of the urban dirty burger will be selling a Santa’s sack load of their Christmas Burger in 2018. Celebrate Crappy Holidays with this burger at the Anti-Xmas Xmas joint. You can see our past AF Christmas Burger reviews for 2014 and 2015. 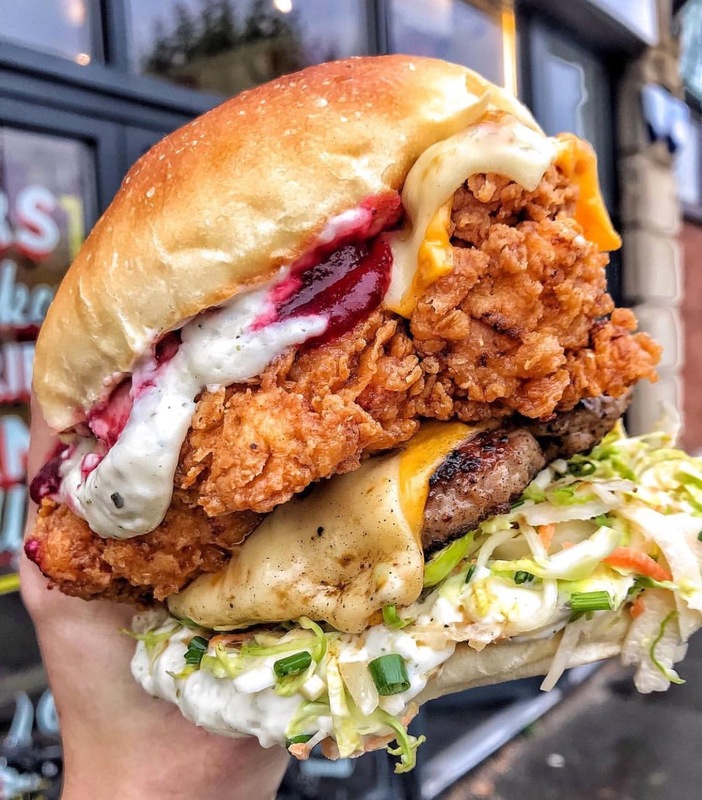 Buttermilk fried chicken, Pork and bacon patty, 4x American cheese, Double Swiss cheese, Sage & onion stuffing mayo, Cranberry ketchup and a Sprout slaw – served with dipping gravy. 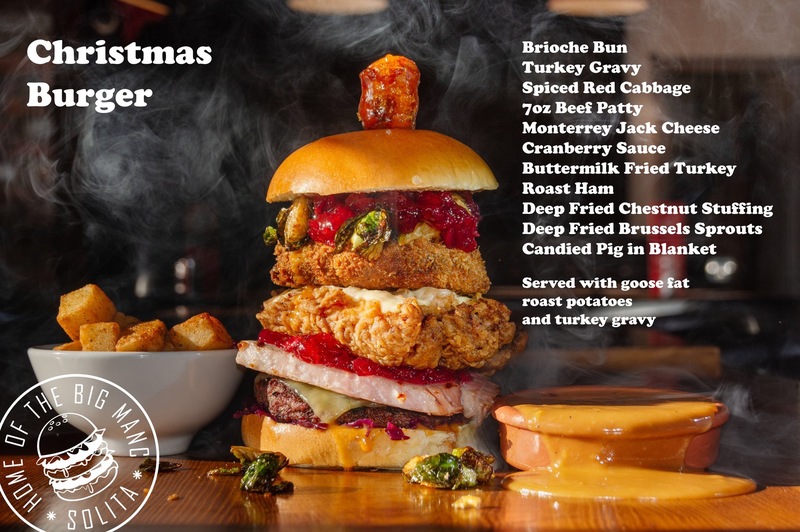 The Christmas Special Burger is part of a tantalising Xmas Menu at Oowee Diner which includes a vegan and veggie version as well as Tater Tot Xmas Poutine and Vegan Xmas Tater Tots. 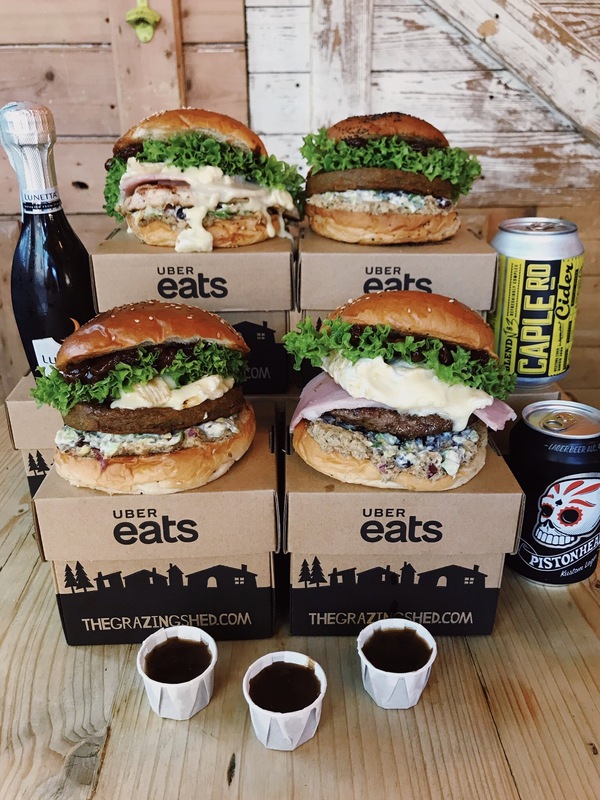 The Admiral visited The Grazing Shed in August 2014 for the Bunga Bunga Burger and it looks like the Welsh burger wizards have pulled a couple of crackers out the bag for Xmas 2018. The Beef Cracker is described as Welsh Beef, seared Camembert, plum chutney, butchers smoked ham, sage & onion stuffing, festive slaw and garlic mayo served with a side of gravy. Also on the menu is the Chicken, Veggie or Vegan Cracker alongside some Super Tidy Christmas Fries (topped with gravy, cheese, garlic mayo and festive sprout slaw). Image via The Grazing Shed. The Holy Cheesemas returns in 2018 – our review from 2014 here. 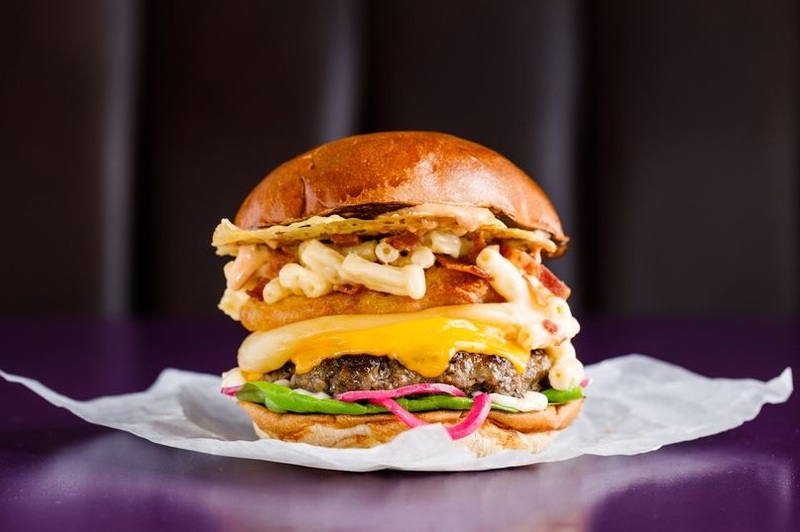 Beef patty, American cheese, smoked cheese, cheese crisp, pickled red onions, lettuce, spicy garlic mayonnaise, onion ring, a scoop of bacon macaroni cheese. 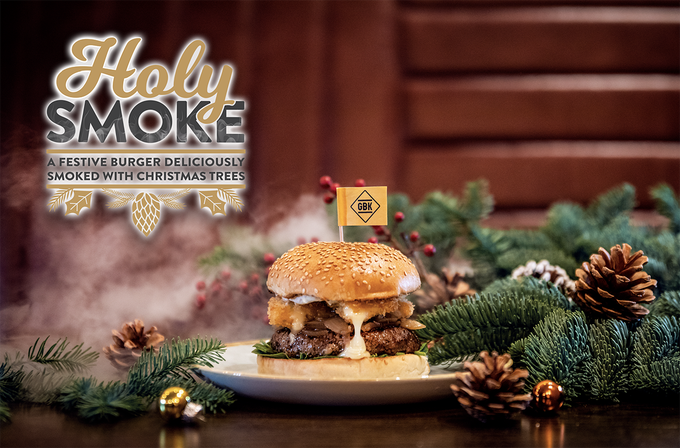 Despite their reported difficulties (closing 17 UK restaurants), GBK are getting in the festive spirit with the new Holy Smoke. 6oz Douglas Fir smoked beef patty, crumbed & fried camembert, truffle mayo, onion jam, baby spinach, served in a sesame seed bun. Yes. 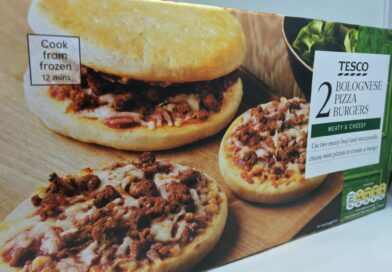 This festive burger has been “deliciously smoked with Christmas Trees” – hope it wasn’t an artificial one! Image via Gourmet Burger Kitchen. Holy Moly Macaroni are Birmingham-based purveyors of the ultimate comfort food – macaroni cheese (aka Mac n Cheese). 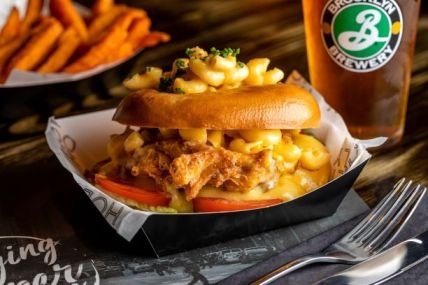 Their Christmas Special is called the Not So Holy Burger – running alongside this is the ‘Little Mexico’ – their legendary mac and cheese topped with pulled beef, jalapenos, salsa, guacamole and crunchy tortilla chips. What are you waiting for…!? Image via Holy Moly Macaroni. CockaDoodleMoo opened in 2013 and are an American-inspired BBQ restaurant that specialise in smoked meats. 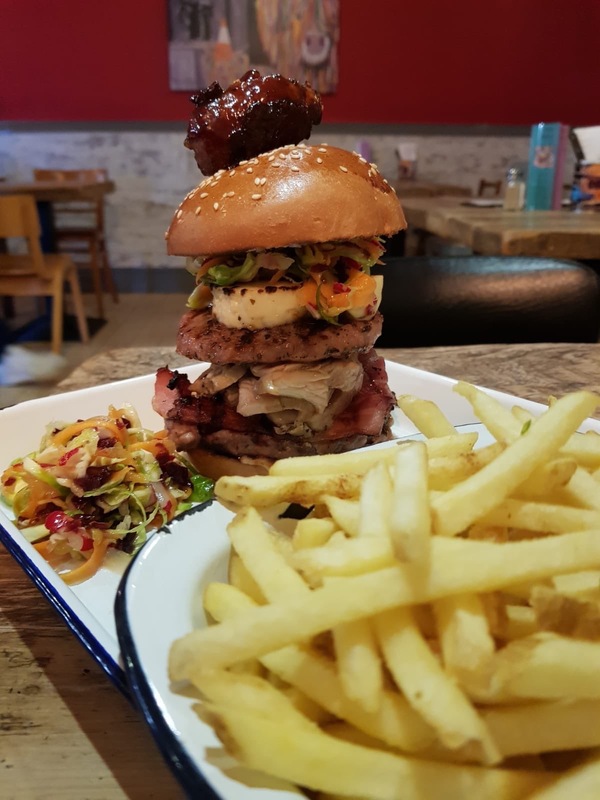 The Dirty Christmas Burger is available as part of their Christmas menu from 26th November so you have plenty of time to prepare for this tasty tower of MEAT. 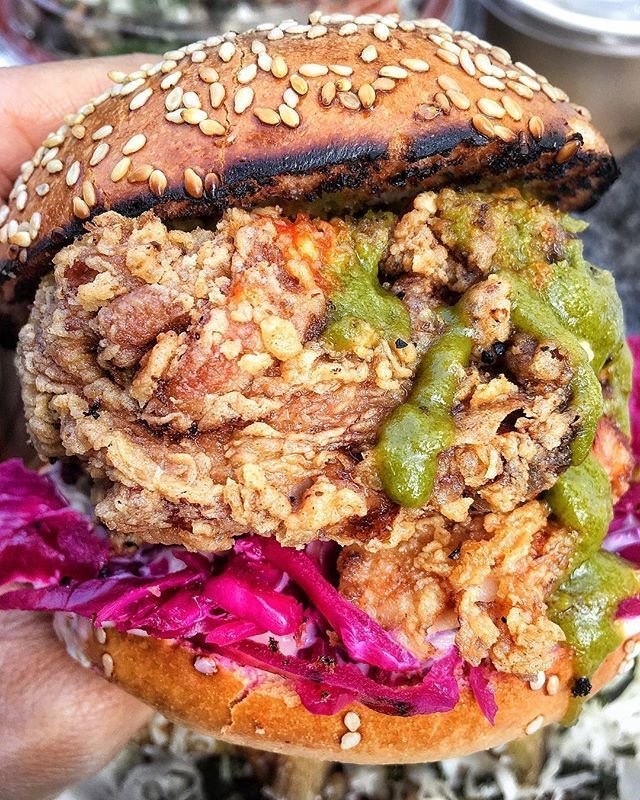 Bill or Beak are a London-based Street Food team serving up duck and chicken burgers at KERB Camden Market, King’s Cross or West India Quay – contact them to find out exactly when and where they are! We’re not even sure this is a “Christmas burger” in the traditional sense, but their Szechuan Fried Chicken (gloriously photographed by KS T) got our attention! Image via @KS_Ate_Here on Twitter. 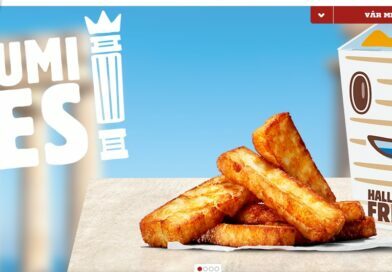 Denny’s Diner opened their first UK location in early 2018 and are looking to expand to ten restaurants in the next few years. 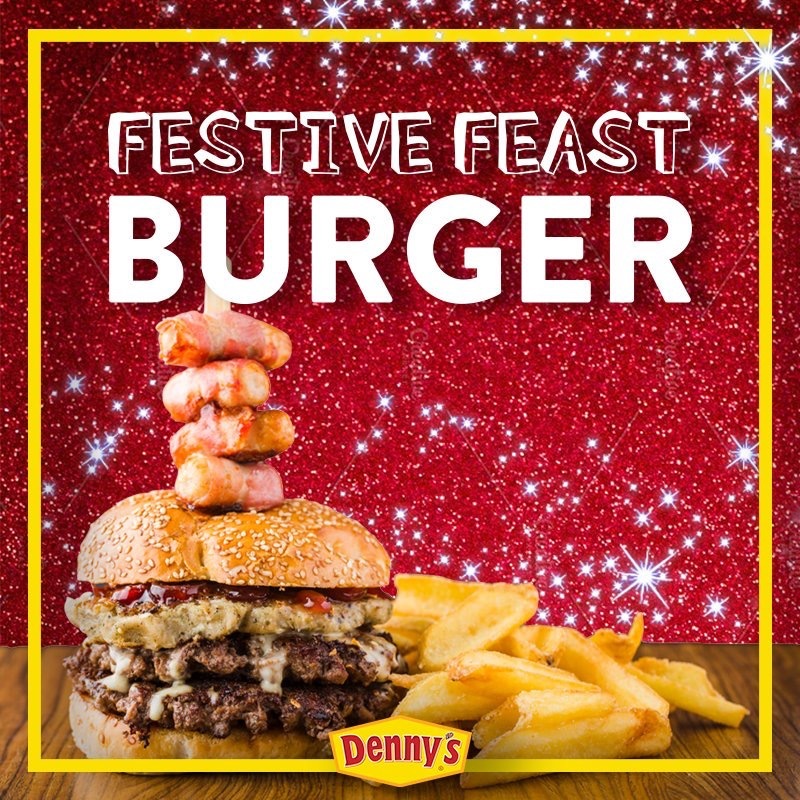 They are certainly feeling festive with the imaginatively named ‘Festive Feast Burger’. It really is Christmas in a bun – but is it any good…!? Will you be trying any of these festive feasts? And which sounds the most tempting? Perhaps we have missed one in our Christmas Burgers list you can recommend?